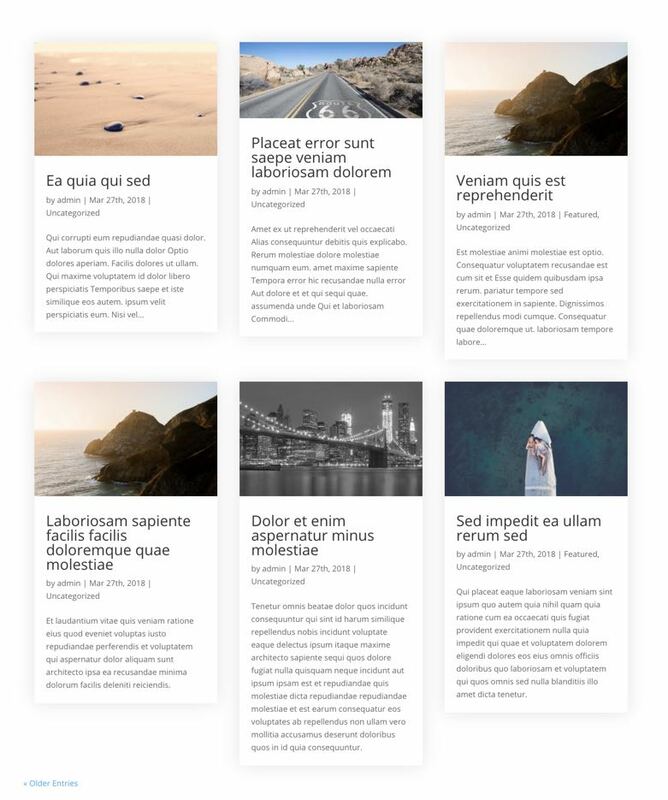 If you don’t want to create custom archive pages, but want to remove the sidebar and/or enable a grid layout, you can enable these hacks in the Divi Hacks settings page (your WP Admin > Divi > Divi Hacks). 1. Create a page using the page builder and add the shortcode [dh-archive] where you want the posts to appear. 2. Select the page you created in the Theme Customizer > Divi Hacks > Custom Posts Archive Page panel. 1. Refer to the table below to hide/show various elements of the post archive using the shortcode [dh-archive] and it’s many attributes. 2. (Optional) Customize the look of the articles even further by adding custom CSS variables. [dh-archive] = shows the default archive and sidebar (specifically the #page-container element from the archive page). 2. Select the page you created in the Theme Customizer > Divi Hacks > Custom Category Archive Page panel. Divi Hacks will first look for a page with the slug archive_category_### (### = slug of the category). If the page is not found for that category, the custom category archive page you set in the Theme Customizer will be displayed instead. 1. Create a new page (or just duplicate the default category page you created) and give it the slug archive_category_###, replacing ### with the SLUG of the category. 2. Using the page builder, add the shortcode [dh-archive] where you want the posts to appear on that page, using the same attributes in the table above, and any of the other shortcodes available on custom category archives. When you’re setting up your categories, make sure the category slugs do NOT contain underscores (_). 2. Select the page you created in the Theme Customizer > Divi Hacks > Custom Tag Archive Page panel. Divi Hacks will first look for a page with the slug archive_tag_### (### = slug of the tag). If the page is not found for that tag, the custom tag archive page you set in the Theme Customizer will be displayed instead. 1. Create a new page (or just duplicate the default tag page you created) and give it the slug archive_tag_###, replacing ### with the SLUG of the tag. 2. Using the page builder, add the shortcode [dh-archive] where you want the posts to appear on that page, using the same attributes in the table above, and any of the other shortcodes available on custom tag archives. When you’re setting up your tags, make sure the tag slugs do NOT contain underscores (_). 2. Select the page you created in the Theme Customizer > Divi Hacks > Custom CPT Archive Page panel. Divi Hacks will first look for a page with the slug archive_cpt_### (### = slug of the CPT). If the page is not found for that CPT, the custom CPT archive page you set in the Theme Customizer will be displayed instead. 1. Create a new page (or just duplicate the default CPT page you created) and give it the slug archive_cpt_###, replacing ### with the SLUG of the CPT. 2. Using the page builder, add the shortcode [dh-archive] where you want the posts to appear on that page, using the same attributes in the table above, and any of the other shortcodes available on custom CPT archives. When you’re setting up your Custom Post Type, make sure the CPT slugs do NOT contain underscores (_). 2. Select the page you created in the Theme Customizer > Divi Hacks > Custom Author Archive Page panel. Divi Hacks will first look for a page with the slug archive_author_### (### = username of the author). If the page is not found for that author, the custom author archive page you set in the Theme Customizer will be displayed instead. 1. Create a new page (or just duplicate the default author page you created) and give it the slug archive_author_###, replacing ### with the USERNAME of the author. 2. Using the page builder, add the shortcode [dh-archive] where you want the posts to appear on that page, using the same attributes in the table above, and any of the other shortcodes available on custom author archives. When you’re creating a new author, make sure the username does NOT contain underscores (_). 1. 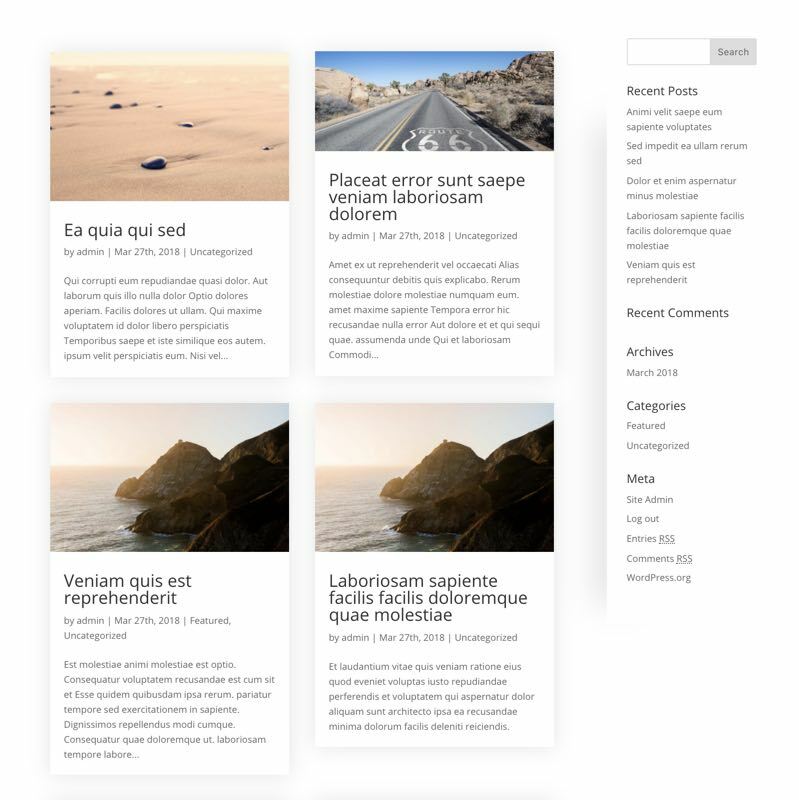 Create a page using the page builder and add the shortcode [search-results] where you want the posts to appear. 2. Select the page you created in the Theme Customizer > Divi Hacks > Custom Search Results Page panel. 1. Refer to the table below to hide/show various elements of the post archive using the shortcode [search-results] and it’s many attributes. [search-results] = shows the default archive and sidebar (specifically the #page-container element from the archive page). Use these like normal css properties like margin, padding, border, etc. Add these CSS properties to the Text Module’s Main Element Custom CSS box.